Military conscription improves the safety and well-being of society. Obligatory service would reduce crime. 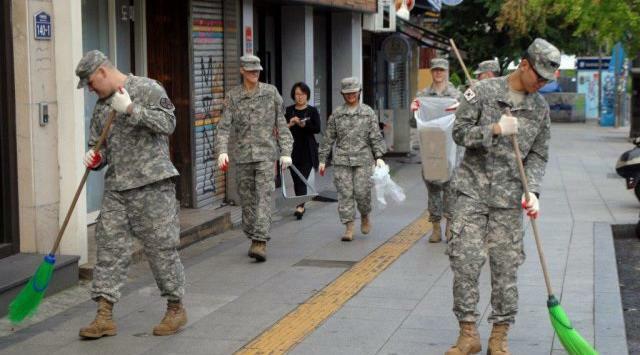 the U.S. has drafted men for service despite having a large volunteer force. Communities would be better prepared for natural disasters and war. Compulsory service would increase the efficiency and effectiveness of the military. Conscription will improve policies regarding the military. Conscription is just a tool to ensure a well staffed military. Conscription itself does not improve the safety of a society. A military improves safety. Conscription may be necessary to build a military but adding conscription to a military that doesn't need it will not improve safety. Military conscription degrades military readiness. Conscription increases personnel levels, but a militaries strength is much more affected by civilian defence manufacturers. evidence that conscription increases the tendency of certain demographic groups (like people from racial minorities or poor backgrounds) to commit crimes or be unemployed after their period of service. Conscription may lead to preemptive emigration, which would be harmful to the country introducing this policy. Compulsory military for 18-20 year olds puts the life of an entire generation at risk, which could affect that country's future.